With all the planning we do for vacations you would think things would go smoothly. Unfortunately, this is rarely the case. Inevitably, something will be forgotten or nobody can agree on the day’s activities. Children will fight and lose things. Parents are so overrun with details they lose their way and fail to pack enough supplies. Luckily, resorts offer amenities and access to everything your family may need or want regardless of planning snafus that occurred before leaving the house. Nobody in the family wants to find themselves wondering what they should do next. When booking your vacation at an RV campground, you will find that many resorts offer a host of nearby activities plus all the advantages of fun rentals and useful services. 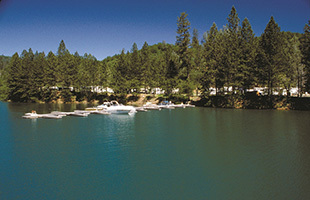 Lakeside resorts are famous for supplying their guests with the opportunity to rent boats and other water-related equipment. Your family may prefer the small, fast nature of personal watercraft (PWC) or maybe you would rather relax and go fishing. On the other hand, you may bring your own boat and lakeside resort repair centers are just waiting to fix whatever may go wrong with your vessel. They will also supply your family with the newest towable toys like SkySkis that you may not want to buy before you buy them. From lounging and fishing to adrenaline-fueled PWCs and waterskiing, everyone in the family will find enjoyment at a lakeside resort. Forgetting necessary supplies is often a thorn in the lives of busy parents. 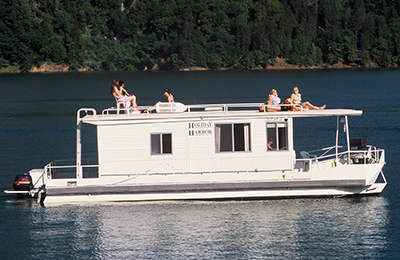 Fortunately, lakeside resorts provide anything and everything you may need to keep your vacation running smoothly. For one thing, your RV may have onboard bathrooms, but what happens when one person needs to shower and someone else needs to use its other features? Developed campgrounds supply enough restroom facilities to avoid these conflicts. Also, many campgrounds have on-site restaurants for those nights when you’re family is exhausted from a long day of fun in the sun. Finally, lakeside resorts will have all of those small, but important, forgotten items at your disposal. Many campgrounds include little general stores where your family can find just the right sunblock, bait, or snacks with little effort on your part. All-in-all, you are assured to find anything you may have forgotten or not thought of ahead of time. Regardless of what your family members enjoy doing, or what you may have forgotten at home, lakeside resorts are designed to be inclusive. They host fun activities, offer useful amenities, and supply you with the supplies and services necessary to keeping everyone happy, healthy, and safe.